Nottingham Tree Services pride ourselves in offering a Tree removal service, at affordable prices, in the Nottingham area. Click here to call Notts Trees. We know that while trees have many advantages they occasionally need to be removed, for a variety of reasons e.g. safety threat, rot, appearance or they have grown too large. We can handle all your tree removal needs, with our tree cutter and felling tools, safely, quickly and efficiently. Our Tree removal costs are very competitive. What should you expect from Nottingham Tree Service? 1. Attention to the Rules. There are several aspects that come into play when it comes to removing a tree and we ensure that attention is paid to them all. We always work quickly, safely and effectively following strict Health & Safety Regulations. We can offer expert advice on possible planning problems regarding Preservation Orders. 2. Risk Assessment. 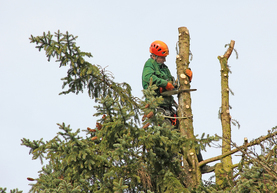 Only a certified and trained tree surgeon will be able to tell exactly when and why a tree should be removed. If there is any doubt whatsoever about the need for the tree to be removed, we will carry out a tree risk assessment to determine the exact risk that it poses to your property. 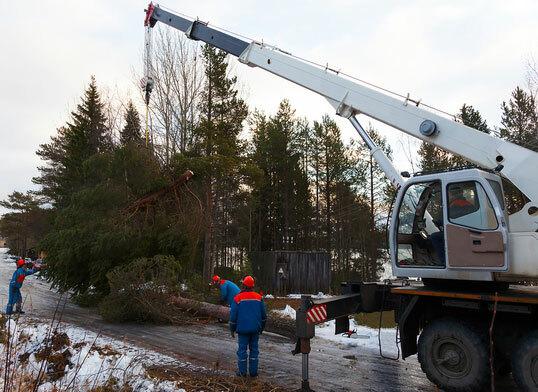 When removing the tree, every regulation will be followed to ensure safe and efficient removal. 3. Fully Trained Professionals. We employ only the most highly trained tree care professionals, and we are a fully insured and licensed tree care company. We have the use of the necessary specialist equipment to take care of all of your tree removal needs. 4. Safety Comes First. We ensure safety above all else for the public, customer and employees. We are fully trained in the correct use of ropes, harnesses, cherry-pickers and all other equipment. 5. Local Tree Removal Service. When you ask the question, is the a tree cutting service near me, if you live in the Nottingham area, we'll be close by. Give us a call today on 0115 824 9899 for more information, or fill out our simple form on the upper right-hand side for a FREE quotation. One of our tree care professionals will gladly assist you and discuss our tree removal services or any other service that you may require.